This course is a must for anyone traveling through the mountains in winter, to help understand safe travel. Snowboarders, skiers and mountaineers will learn the basics of avalanche safety through terrain, snowpack, and weather. Participants will learn about trip planning, route selection, weather forecasts, travel techniques, decision making, along with search and rescue skills including the use of transceivers, shovels and probes. This level one course is an important step in learning how to make decisions in avalanche terrain and is an excellent introductory course for any winter backcountry traveler. It is taught by AIARE qualified course leaders in the backcountry at a backcountry yurt with lodging and some meals provided. Learn crucial avalanche skills while enjoying backcountry solitude in this backcountry based AIARE level one avalanche course. Three full days in the backcountry and a total of 24 hours of instruction are included. Students are given a final debrief with the opportunity to give instructor feedback. Know that no course can guarantee safety in avalanche terrain either during or after the course. The AIARE level one is a stand-alone course and also the first step before moving on to the AIARE level two courses. 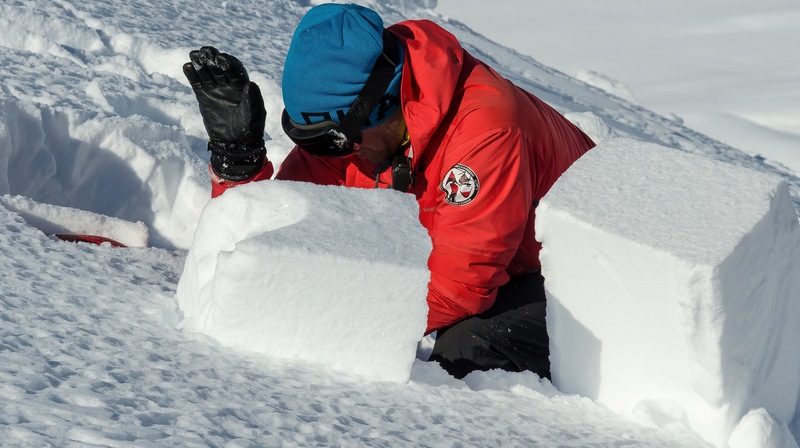 You will learn how to observe and gather information from field observation techniques such as snowpack tests including rutschblocks and compression test. Find out about avalanche danger factors (RED FLAGS), avalanche danger scale, trip planning and preparation. Reconize avalanche terrain, assessment and selection including route finding and travel techniques. Fine tune your decision making and companion rescue. LOCATION: Eastern Sierra Nevada between the towns of Lee Vining and Bridgeport, just North of the ski resort town of Mammoth Lakes or Lake Tahoe, depending on Venue. PREREQUISITES: You must be able to travel in avalanche terrain on skis, snowshoes or splitboard. Good physical condition is required and the ability to travel 3 miles on flat terrain on the last day.